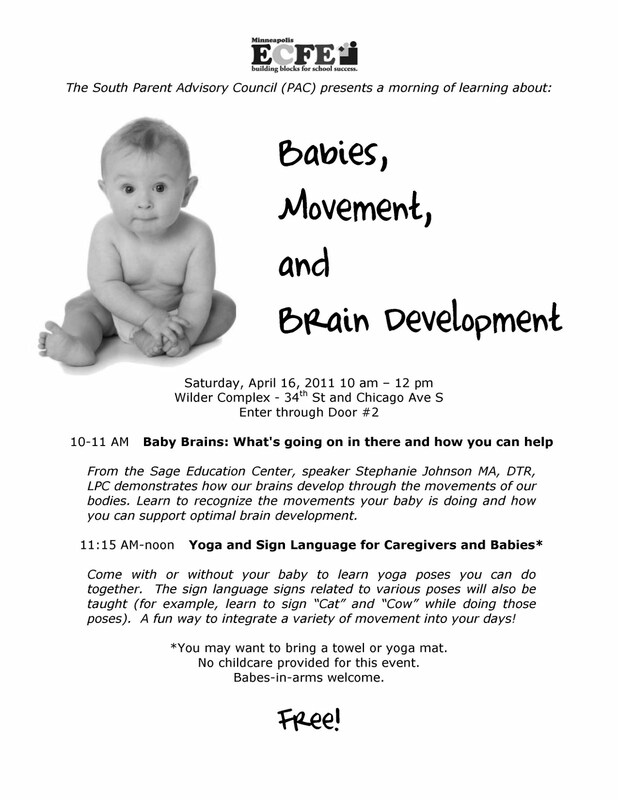 Join us for a wonderful morning of information and movement on Saturday, April 16th at 10am. 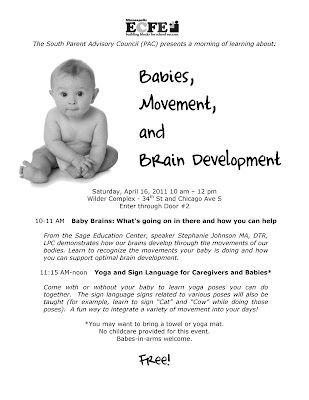 Stephanie Johnson (from the Sage Education Center)* demonstrates the interconnectedness of movement and brain development, followed by a session on baby sign language and baby yoga. Babes-in-arms are welcome; no childcare is provided. *More information on Ms. Johnson's classes at Sage can be found here.